Gichin Funakoshi was born in Okinawa, Japan in 1868 and the age of 11 began the to study traditional Okinawan Karate. He eventually became a master himself and was invited to Tokyo to demonstrate Karate in 1922. This eventually led to the creation and establishment of the Japan Karate Assocation. Sensei Masatoshi Nakayama was his principle student and the first headmaster of the JKA. As Sensei Funakoshi progressed in his learning, Karate took on a deeper meaning than just the physical training of Karate. He melded the physical training aspects of Karate with the more philosophical aspects of Japanese Budo. Karate-Do was born. Jinkaku means 'Character' Kansei means 'Full or complete' tsutomoro means to 'Seek or Strive For.' Seek or strive for a full or complete character. Mamoro means 'to defend.' Michi means 'the path you live your life on.' Makoto means 'Truthfulness and Sincerity.' Defend your path of truthfulness and sincerity. 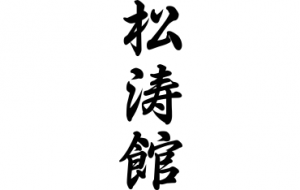 Doryoku means 'perseverance.' Seishin means 'spirit.' Yashinau means 'to cultivate'. Cultivate the spirit of perseverance. Rei literally is the bow we perform in Karate. Reigi embodies the principles of respect and etiquette. Omonzuru means to honor. Honor the principles of respect and etiquette. Imashimuru is 'to be warned or to guard against.' Yu means 'courage' Kekki means 'blood and energy.' Guard against our anger.